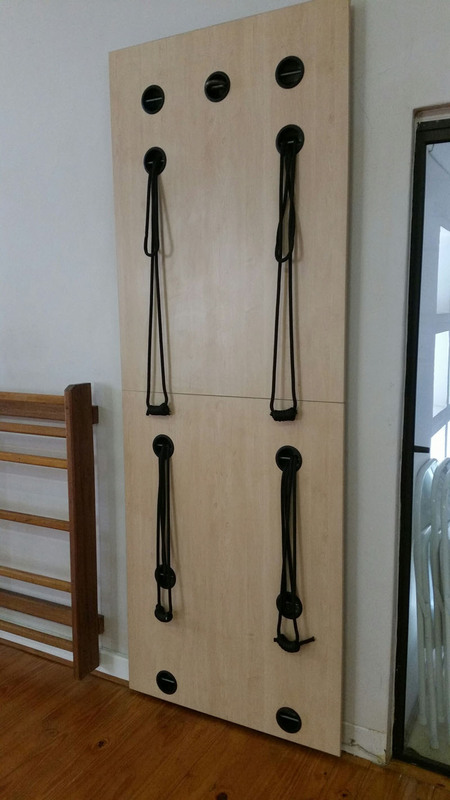 The Yoga Rope Wall concept was first developed by BKS Iyengar who originally used it to assist and intensify his Asana practice. 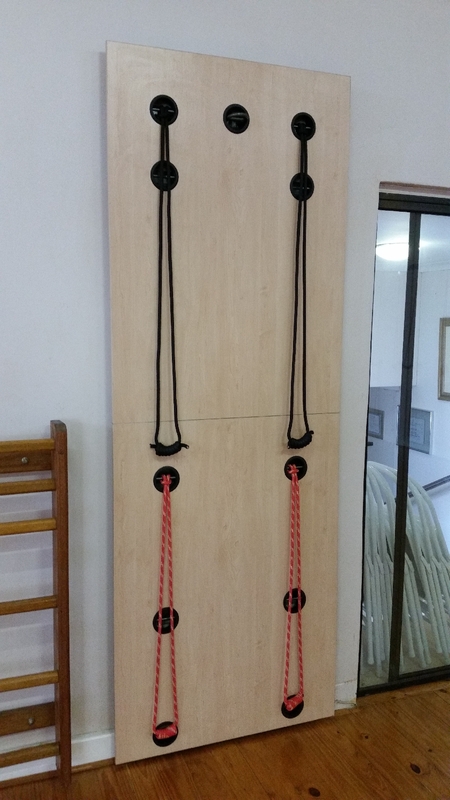 Yoga Wall rope work is referred to as "Yoga Kurunta", which means "Yoga Puppetry"; Kurunti meaning "puppet". 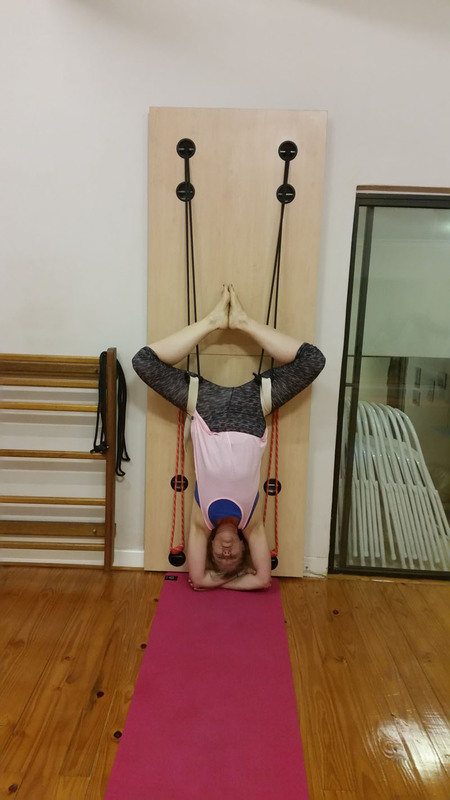 You become both the puppet and puppeteer. 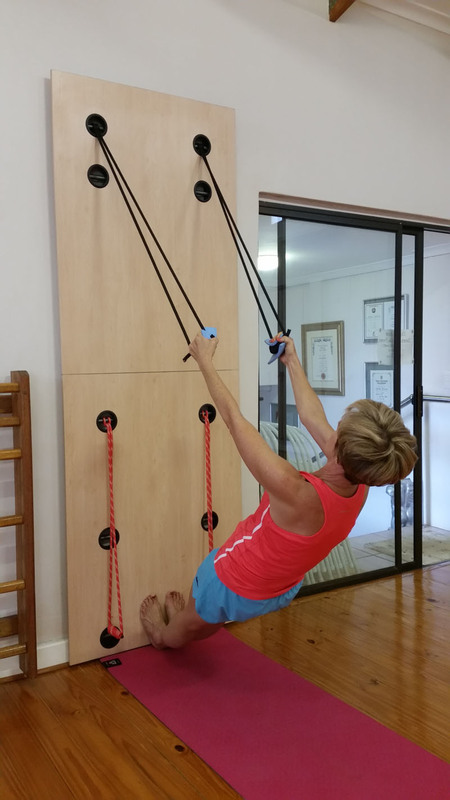 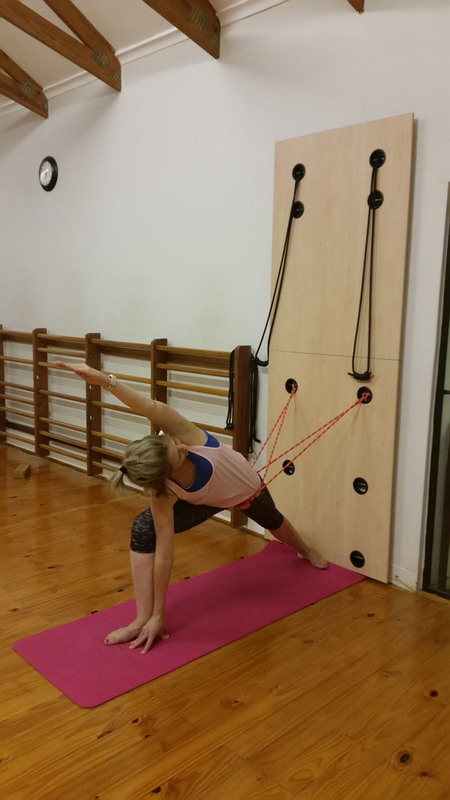 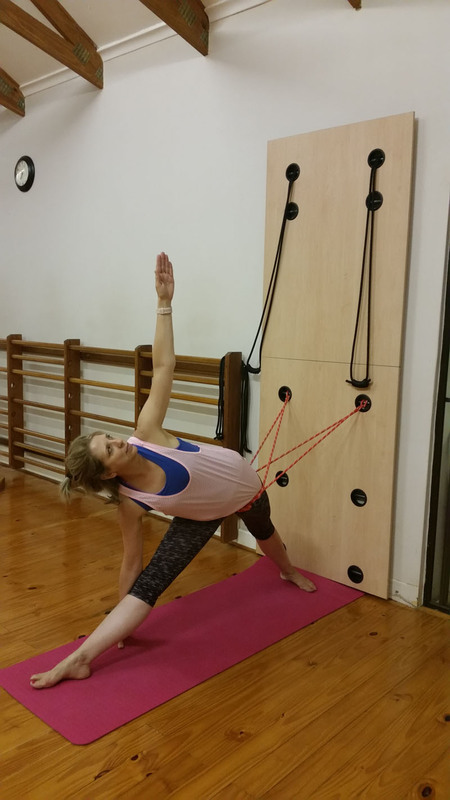 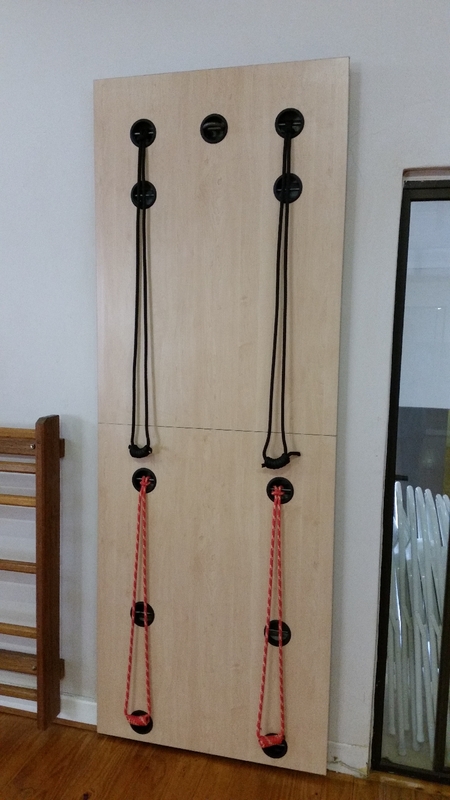 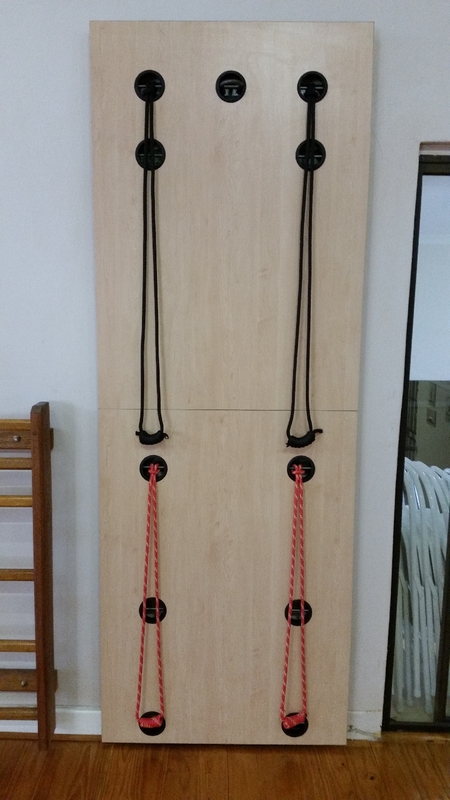 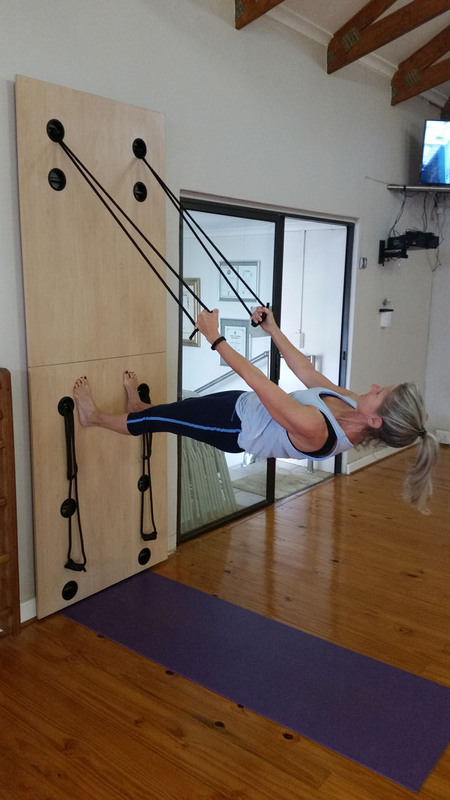 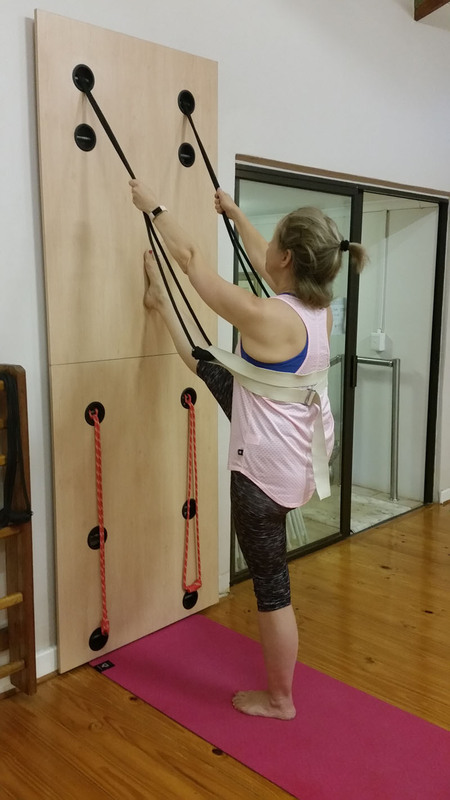 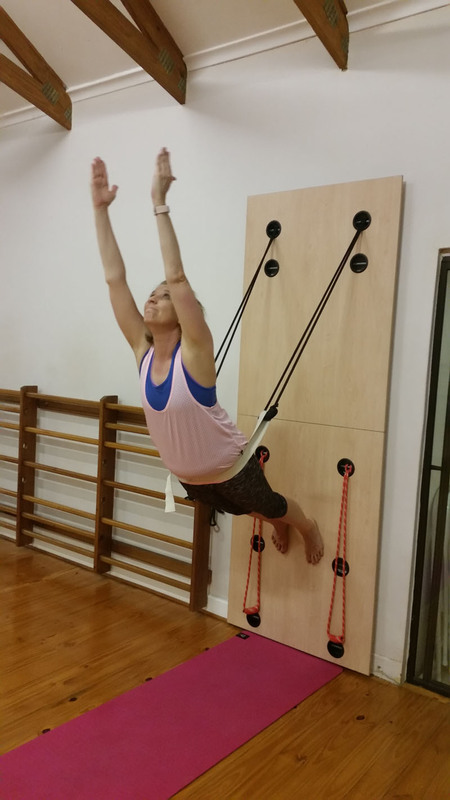 The Yoga Wall allows for the safe elevated support of the body by means of suspended ropes creating many benefits which we will run through below. 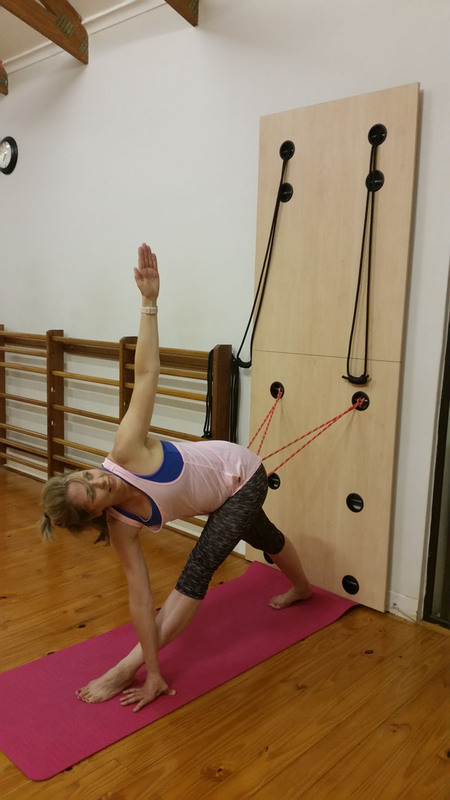 With ropes supporting you in your Yoga poses, holding poses for longer becomes easier. 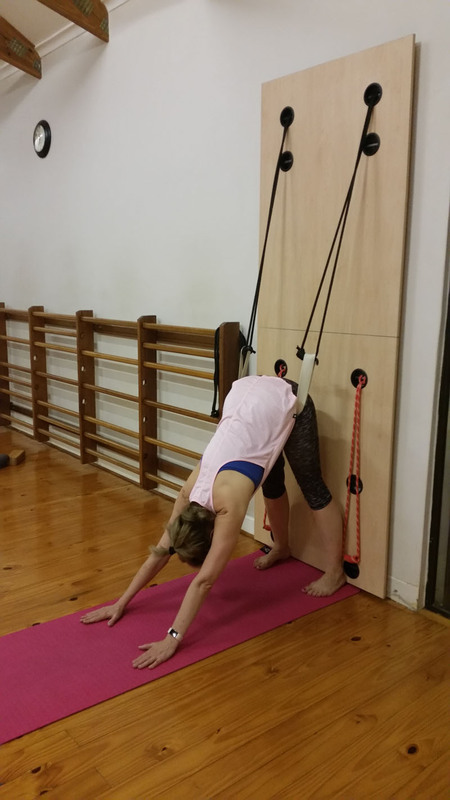 With the combination of your body weight and gravity, you extend your spine further than in normal non-assisted, yoga poses. 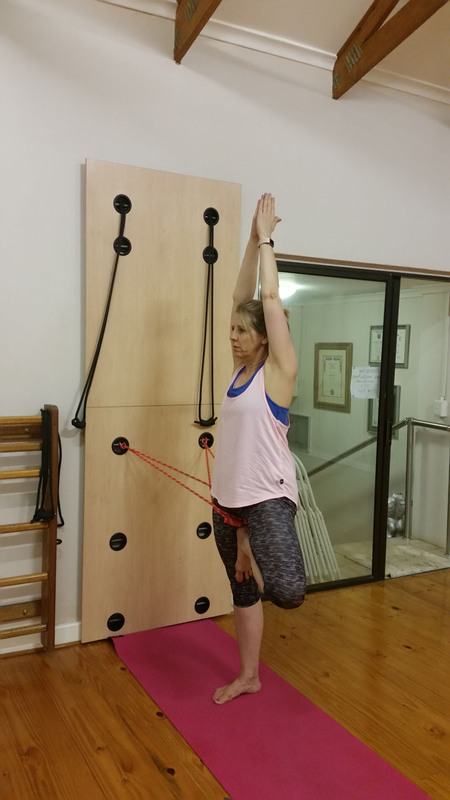 This helps with greater flexibility throughout your entire body, opens up your joints, relieves pressure from compressed vertebral discs, helps with realignment of the spine and hips, improves overall spine health. 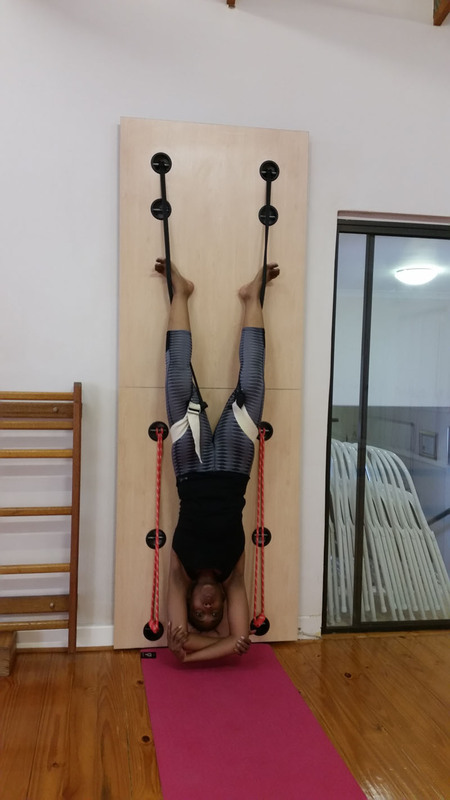 Since the ropes offer you stability, you are now able to completely concentrate on achieving the true purpose of a particular yoga pose, which in turn contributes to achieving deeper levels of strength,control and stability throughout your body and mind. 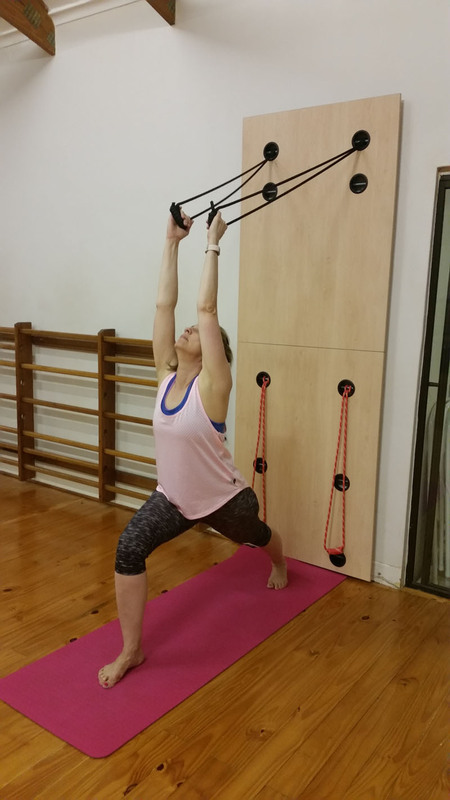 Working with ropes encourages more activation of your core strength allowing increased freedom, control and overall movement to focus on muscles that you may not necessarily use during standard Yoga practice. 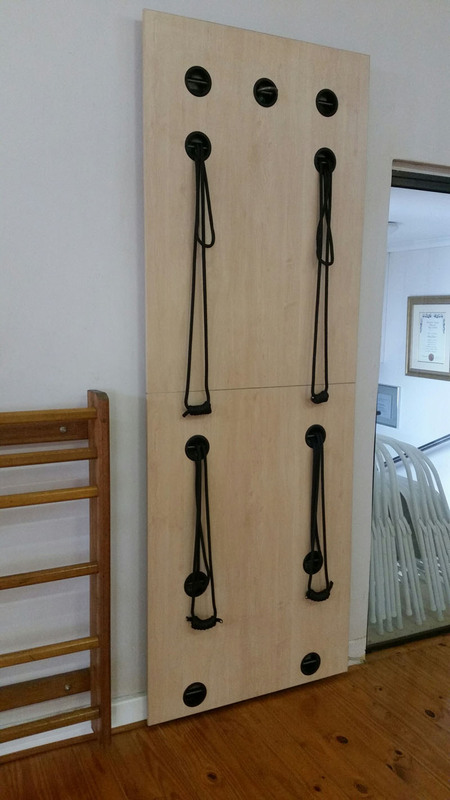 Your lymphatic system is your bodies waste management. 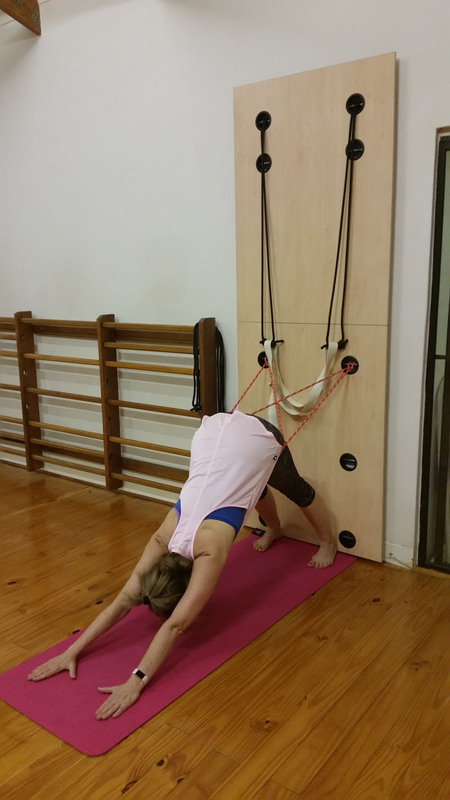 By using the Yoga Wall for "inversion" techniques, you promote efficiency in removing the waste and toxins from your body with greater ease. 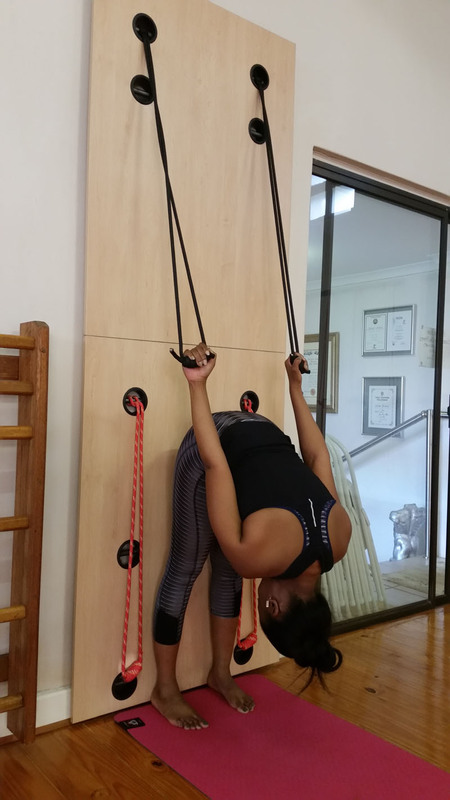 Stress is the main cause of most modern day ailments, examples are muscle spasms, back and neck pain, headaches,weakened immune system as well as insomnia ( with new studies showing the serious health issues attributed to "sleep deprivation"). 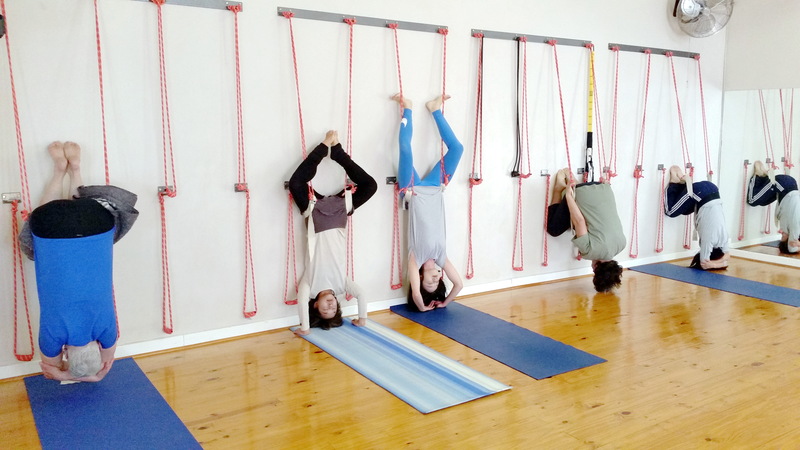 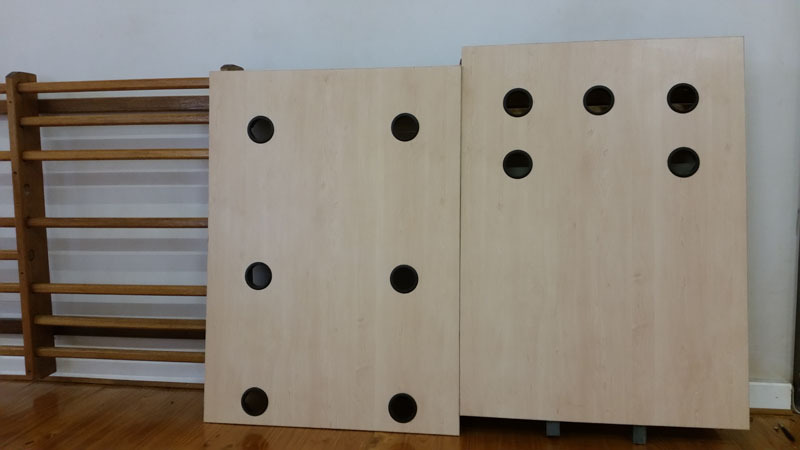 Yoga practice together with the benefits of the Yoga Wall, helps to condition the mind and body which in turn greatly alleviates or even overcomes many of the above health issues. 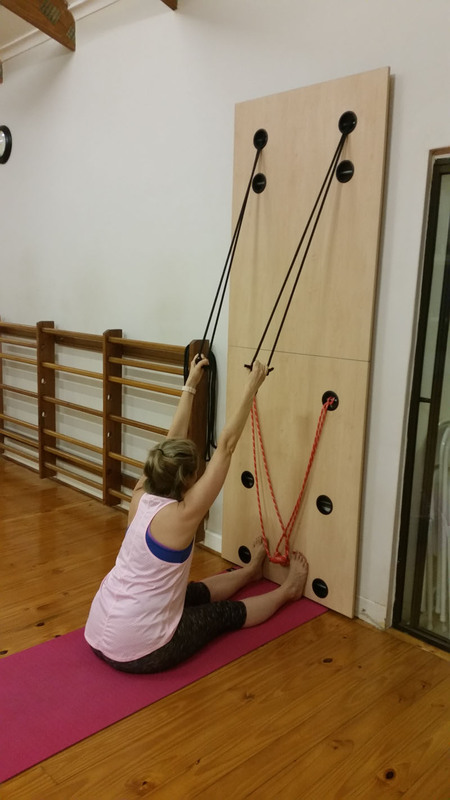 There are many benefits to incorporating the Yoga Wall in your yoga practice.